There seems to be an app for pretty much everything these days. Smartphones and tablets are easily outselling computers and this trend looks here to stay. This means that anyone running an online business must pay particular attention to its mobile experience. In the world of B2B business apps companies are faced with a number of challenges. The cost of developing, launching and maintaining a mobile application is an ongoing commitment, as is ensuring the app is integrated with your sales, marketing and customers' needs. 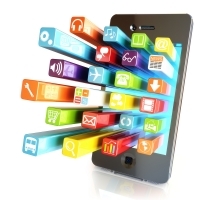 Make sure your app works for your business by following these five guidelines. The majority of business-to-business marketing and sales apps are tablet-based versions of existing presentations, videos and literature. Replicating content just so it can be used with a touch screen does not make that information any more effective. Businesses need to engage with the user on a sensory level and develop an emotional connection. Always remember it is the user who will decide how they want to explore the app. A mobile-first approach is beneficial, but your app should cater for all devices. Make sure it is available as an independent app for desktops and as an app for browsers, as well as for smartphones and tablets. Marketing and sales professionals often face challenges when it comes to web access, for example working in venues where Internet access is limited or even unavailable. So, it is important to have an app that can function when a device is offline as well as online. When an update is made to the application it needs to reach the end user immediately. By distributing this on an incremental basis to all local apps users will have access to the most recent version of the content the next time they are online. With engagement analytics in place businesses can really begin to understand how the app is being used. By tracking how users are engaging with each segment of the app, where users are located and on what device they are running the app you will gain valuable insights into the user experience. It will also help you make any improvements in the future. There is no doubt that business-to-business applications for marketing and sales help a company increase sales and improve its marketing efficiency. But by creating transparency throughout the lifecycle of an app – development, implementation and maintenance – you will ensure prolonged success of the app. If you'd like to find out more about how a mobile app could work for your business, we can help. Our in-house team offers bespoke design and build of mobile applications and we are confident you will see the benefits for your business. 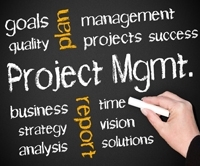 Project management teams are the backbone of many successful businesses. Typically, a dedicated team will use their skills and expertise to plan, organise and implement different projects for various clients. In this article we’ll discuss how we approach projects here at Ampheon, and we will also be looking at what makes a good project management team. At Ampheon, the initial stage involves selling our services to prospective clients. Once a client has signed up, that’s where the project manager steps in. Our team and the client will then work together to produce a high-end brief which covers the client’s requirements. The first step is asking the client what problem they want to solve, and it’s the project management team’s duty to find the solution. As a simple example, the problem could be a lack of online presence, and the solution could be to create a blog. A good project management team understands that no two clients are the same. When looking at how to tackle the client’s problem, it’s also important that all options are considered. This can sometimes mean that when a client appears to have a definitive solution to their problem, we would need to pitch other possible ideas. To be able to use initiative and come up with other solutions, the team must contain experts in the field of the client’s business area. In effect, it is our duty to take away the administrative duties of a project from clients as much as possible. But, it’s the client’s deliverable at the end of the day, and the responsibility and control must lie with them. Perhaps the most significant element within project management is communication, and this applies to pre, during and post-project. Without good communication between client and service provider, the project is doomed from the start. The project must be clearly defined from the outset; this means that the client must know what they are getting and how they are getting it. There must be initial agreements on who is responsible for delivery, as well as on the frequency of communication. Does the client want updates daily? monthly? Do they want to receive these updates via e-mail? telephone? post? The client chooses the level of communication they wish to receive, which further asserts their control of the project. From our experience, it is best to have a single point of contact, as this reduces the possibility of information being miscommunicated or not communicated at all. Communication is particularly vital in cases where the client has its own project management team. In cases such as these, the project manager will need to agree with the client’s internal project manager on who is taking lead, and we’ll also need to decide on what team is responsible for what duties. A good project management team is one that continues to execute high-level communication throughout the project. If there’s a change in the client’s requirements, this must be dealt with accordingly. The change could require a simple minor adjustment, but it may be a big change that would need a second-sign off. If this is the case, more time may be needed to complete the project, which could mean the client would be charged more for the service. Organisation is another factor that can make or break projects. To help us achieve excellent organisation, our team has moved away from singular communications and instead have opted for a centralised online management tool. This tool organises and stores everything in one place, which helps to ensure that nothing is lost. A good project management team will establish a good methodology for the way they handle each project. We at Ampheon use PRINCE2 (Projects in Controlled Environments), a UK government standard framework that covers projects of all scales. With the majority of project management teams using this standardised tool, communication is simplified and there is less chance of making mistakes. Receiving client feedback during the project is also essential. At our company, this involves moving a project from the development stage into the testing environment. The client has the chance to see and trial the project, and report back on what they like or don’t like so that changes can be made if necessary. After a project has been signed off and completed, a good project management team will always follow-up with the client. We send a ‘lessons learned’ report, which details feedback from both teams and suggests areas for future improvement. This report benefits both sides, and helps us to grow and develop with each new project we take on. According to an article on the Venture Beat website I read recently, an Israeli start-up called Gingee has rolled out a cross-platform app development tool that will give developers the chance to create one app for devices running on iOS, BlackBerry, Windows Phone, the eight different versions of the Android operating system and other platforms. While app developers use cross-platform development tools for just 5% of the applications they develop, 68% of developers expect to be able to use those tools by 2015, according to a study from mobile market research firm Research2Guidance. However, the complexity of the app development process is limiting app makers' potential to align expectations with reality, which results in longer development periods and higher costs. Gingee believes that its tool is truly cross-platform and can be even installed free of charge. The Israeli company says that its solution reduces the complexity by offering a drag-and-drop user interface, which in turn allows app makers to develop apps in a more intuitive way, without the need of coding for all Android OS versions, for iOS, BlackBerry devices and the mobile web. The technology is based on an in-house algorithm which analyses object relations and links them identically to all devices and operating systems, ensuring a consistent user interface and experience across all devices. Gingee's development environment generates automatic high-end code, which can improve the speed of the app development process by 57% per operating system. The company says that the solution delivers 96% native performance as it communicates directly to the operating system. An application can have hundreds of objects appearing on the screen, but this will not have a negative impact on the performance. For instance, when an operating system gets an update, app developers need to optimise their app to the latest version, but this will no longer be an issue, as with Gingee's technology this will not be needed. Gingee's tool also includes a physics engine, animation editor, asset manager, social connection tools, and over 40 highly optimised, preloaded components and widgets, such as dynamic texts, buttons, scrollers and much more. Gingee was founded in response to the challenges app developers face in light of the wide variety of devices, versions and operating systems, says Roei Livneh, chief executive and co-founder of Gingee. Email campaigns have been a part of digital marketing for years, with companies of all shapes and sizes relying on mailing lists to get the word out to their existing and potential customers. The need to constantly send out offers, deals, and reminders to clients hasn’t changed, but the way people use the internet most definitely has. We are, of course, talking about mobile and everything that goes with it. Internet users now browse the web and receive their emails when they’re out and about, such as when they’re shopping in the high street. If your business really embraces the mobile platform – and all of the possibilities it offers – you could be reaching out to so many more potential customers. 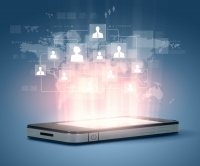 Here are just a few tips on how to make the most of mobile. Just because we’re focusing on the internet here doesn’t mean that you should forget about things like text messages. Using SMS as a form of marketing works better now that so many people own smartphones, and can click or call directly from a message to find out more information on a certain company or deal they’re offering. Text messages can, however, be a little limiting in terms of how many characters you have to work with. Emails are better in terms of being able to use text, images, and white space to create an attractive message that is easy to read and easy to click through to a website (just make sure your text and links are big enough to click on without being fiddly). You should have a mobile-friendly website no matter what (look up responsive web design development for this), but it can also help to offer your customers the opportunity to download an app. Just make sure that your app is worth downloading – even if it’s free, users will want the application to offer them something they can’t get on your regular site. Gamification principles work really well on mobile apps – offer customers rewards or offers and incorporate fun games or missions in order to engage with potential clients. Just make sure all of your contact and other important details are included in the app as well. The fact that people take their phones everywhere with them is great news for businesses trying to market through mobiles, and the ability of users to ‘check in’ at their favourite places should be made the most of. Offer incentives for customers if they check in to your place of business, such as so much percent off the food bill or a free drink if they bring so many friends with them. Getting creative with ‘check ins’ is a fun way of marketing, and one that customers will definitely respond to. If you’re still unsure about where or how to start, ask an expert in web design & development to give you some advice; there are a wide range of digital marketing specialists out there, from freelancers to entire web development teams. Some specialise in specific areas, whereas others will cover all forms of online marketing, so make sure you do your research before hiring anyone.